Auburn Rollover Highway Crash Hospitalizes Two – Local California Highway Patrol (CHP) officers reported that two people were injured after being involved in a collision on a highway location just north of the city of Auburn on Friday, September 7, 2018. The accident involved an SUV as well as a 25-foot long travel trailer. Reports from officials at the crash scene stated that both injured individuals were taken to a hospital for emergency treatment. However, neither of the wounded people were reported to have suffered life-threatening injuries. Updates on the condition of the injured parties were not available at the time of reporting. CHP’s reports indicate that the accident happened on Highway Interstate 80 during midday. A Bay Area man had been driving the SUV and towing a trailer near in the area of Bowman when his vehicle suddenly veered toward the left. The SUV and its trailer eventually traveled off of the roadway close to the Bell Road overpass. After exiting the road, the SUV and trailer overturned, rolling several feet before finally coming to a stop on their roofs. Accident witnesses immediately reported the collision to CHP who dispatched emergency personnel right away. When they arrived at the crash scene, officers found the two SUV occupants with serious injuries and had them put on a ground ambulance. The individuals were transported to the nearby Sutter Roseville Medical Center. Additionally, no other people or vehicles were reportedly involved in the crash. CHP officials stated that they are still conducting investigations into what may have caused this traumatic accident. So far, a full report of suspected accident causes has not been released. However, witnesses reportedly told CHP that the trailer had been fishtailing out of control just moments before the SUV veered off of the road. Most of the time, accidents are caused by drivers who operate their vehicles carelessly. In these cases, careless drivers are considered negligent and can be made responsible to pay for damages and losses related to the crash. 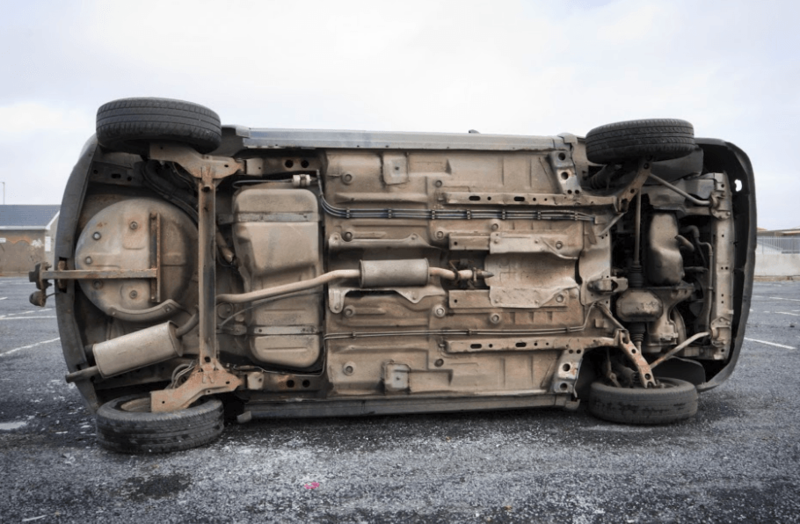 However, many accidents are caused by a vehicle part that doesn’t work the way it should. Things such as faulty brakes and steering systems can easily cause a crash and malfunctioning safety equipment like seatbelts and airbags can be the result of serious injuries. I’m Ed Smith, an Auburn car accident lawyer. Those who’ve been injured in accidents can often claim compensation. If you’ve suffered crash-related trauma, call me to get free, friendly advice. You can contact me at (530) 392-9400, (800) 404-5400, and through my website. Auburn residents have trusted me to help them claim fair repayment for wrongful death and personal injury losses since 1982. I’m in a national attorneys’ forum for lawyers who’ve helped a client obtain over $1,000,000 through a single trial verdict or settlement, the Million Dollar Advocates Forum.